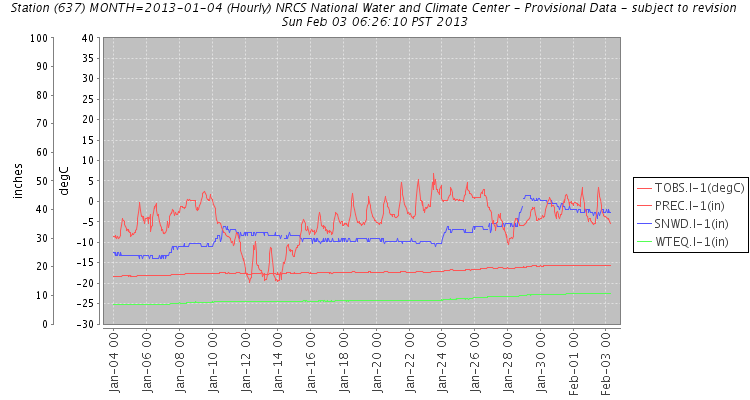 January 2013 has not been generous to Mores Creek Summit (MCS). The winter season at MCS started with a very healthy snowpack above 7400 feet but the coverage below 7000 feet have been poor. 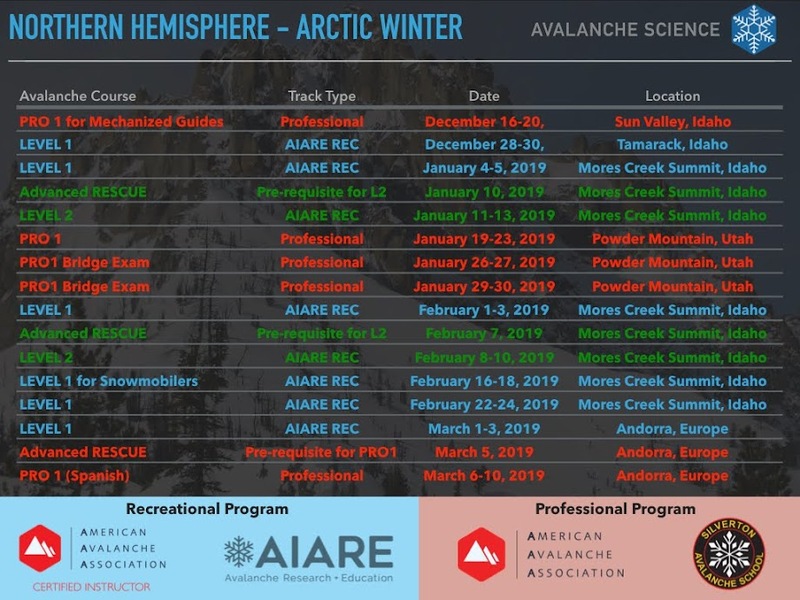 January 28-29th winter storm helped to get the snowpack depth to the 40 inch average at the MCS snotel level, but that is not sufficient to open many favorites ski lines at lower elevations. The good news is that the recent snow made the access to Freeman, Sunset, and Pilot from lower elevation pull-outs friendlier to skinning, and the hand-to-hand combat with brush have somewhat ameliorated. Thus, Saturday I ski toured Freeman for the first time of the season. Our party soon realized that all aspects of Freeman have been affected by the warm weather and strong solar radiation of the last few days. We found a very warm and wet snowpack at all slopes exposed to the sun rays, and at more northeasterly aspects a challenging melt-freeze crust layer. At the steeper more protected chutes 600 feet lower, we found reliable soft turns again, but we learnt our lesson - stop wasting time with any slopes that have seen ANY sun, and head over to Freeman West Glades as soon as possible. Every one of the compression tests exhibited sudden collapses (SC), whereas the extended column popped-out with a combination of sudden collapse and sudden planar. The ECT propagation failure with a 60 cm slab above a layer of surface hoar was a reminder that the snowpack in our area needs to be evaluated before committing to steep slopes. A week ago I observed a similar surface hoar/near surface facet layer structure buried 45 cm below the snow surface at Copper Mountain - Banner summit. 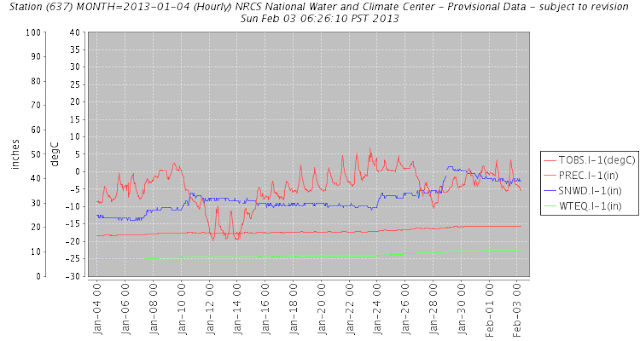 A pretty significant Wumpf (snowpack collapse) at 8000 feet was also experienced by our party as we skinned up. The snowpack was clearly sending a message - stay off steep terrain, particularly where significant warming is going on! The warm temps of this weekend will have a net positive effect in the rounding and sintering of buried facet crystals formed during the extended dry period and now buried by new snow. But in the short term, the snowpack is being stressed by the heat induced creep, particularly in steep slopes affected by solar warming and/or where free water is available to permeate through its layers. The second half of the day, we ski toured Freeman's West Glades. The skiing was excellent at slopes with sheltered North to North West aspects, and they presented us with the mean to escape the annoying crust layers and wet snow found at Freeman's east, south, and west aspects, and make invigorating turns at cold fluffy snow. As we ventured into the West Glades, we were aware of another party at Freeman with similar plans. We did not run into them but we benefited from one of their uphill tracks as we climbed out of the west glades bottom at the 6400-6600 feet level. And what a steep uphill trail it was, as the party skinned straight up in their downhill tracks. Below a link for the topo maps of Freeman West Glades. The "Hillmap" website that facilitated this topo map, is a a very good resource for Ski Trips planning. Feel free to play with the "hill map slope analysis" tool - it is very cool! Notice that there are various selectable topo map versions. For your convenience a topo map view of the area we toured is included below. Late in the afternoon, as we skied back into I21, the conditions challenged our skills to find non-crusty snow. We succeeded to a large extent - until we reached the 7000 feet in the vicinity of Mores Creek headwaters below Freeman ridge slopes, where we had to switch to the emergency use of "Stem Christie ski turns". We were relived and joyful when we reached the road, and somebody yelled "Land - we are safe now!". After a day of temps in excess of 0 Deg-C, we were ready to make a stop at Idaho City, grab the saltiest bag of chips and get a black porter beer. No other place is more qualified than Donnas Place. After many years of making stops at Donnas Place, I had the chance of meeting Skip. Skip is the owner of Donnas Place, and a very personable and funny individual. And as usual, I would like to encourage skiers to bring business to Idaho City after having fun in their backyard. Stop by Donnas and say to Skip, or stop Trudy's and delight yourself with a most wonderful homemade pie, or visit the folks at The Gold Mine for the most fantastic finger steaks in the Boise watershed!